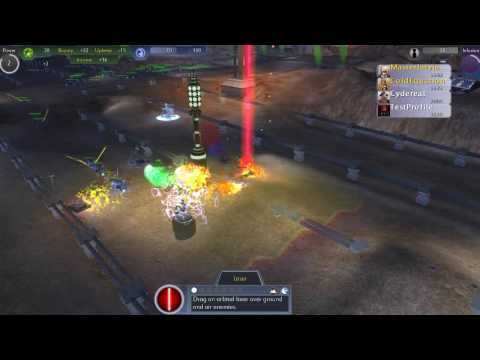 Jump in to intense turret defense action with Sol Survivor! 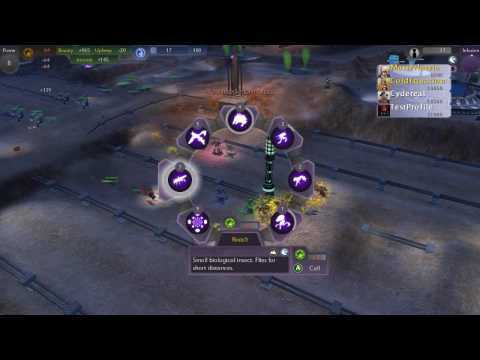 Build turrets to defend your colony and the innocent colonists within. Smash enemies with volleys of actively-controlled orbital support. Play with friends in co-operative and competitive multiplayer matches or test your mettle against our new Survival mode! 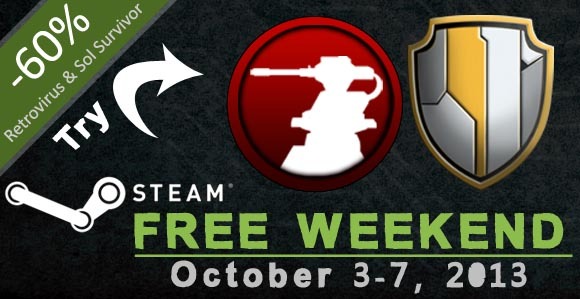 Both Retrovirus and Sol Survivor are going to be available to play for free on Steam from the 3rd-7th! Let's get everyone and anyone to play from your brother, his friends, his friends aunts and uncles, to the ghost of Gary Gygax, to even Kevin Bacon; because at this point I think there's a connection somehow. If you wind up liking both of our games you can purchase them for 60% off during the sale! Be sure to jump on this deal while it is hot! You can download here the script files that we used to create all of the levels in Sol Survivor! 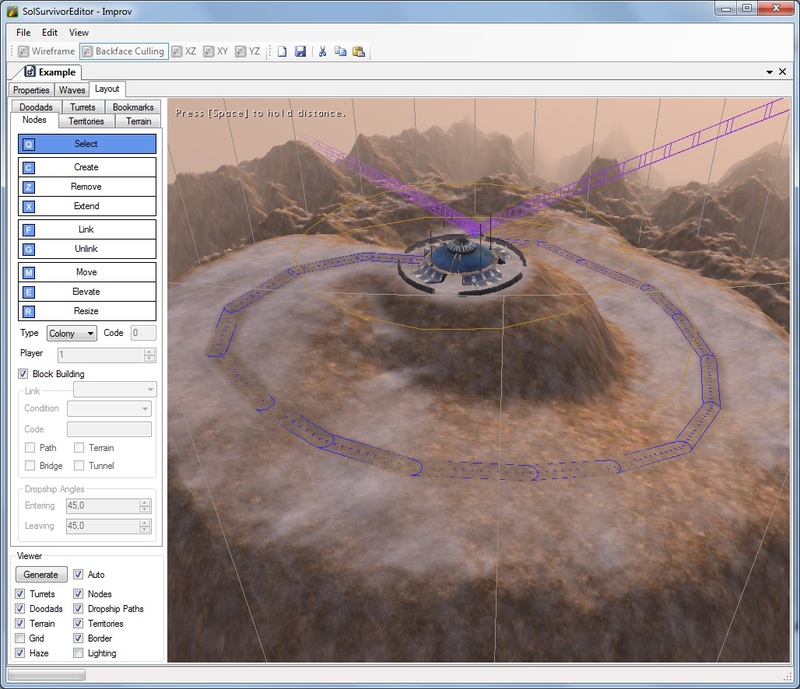 This article will help you in creating the layout of a level in the Sol Survivor Editor. If you need help getting started, check out the previous Getting Started post. 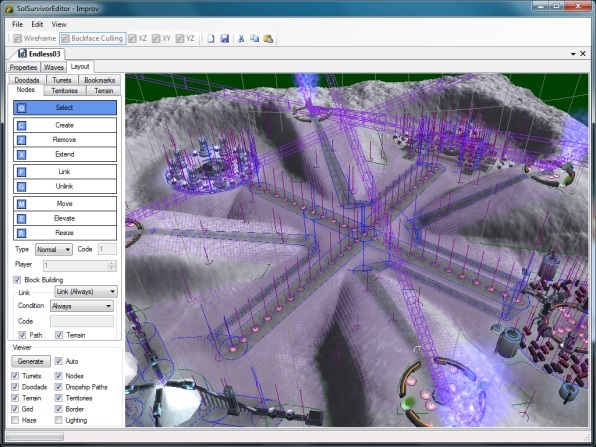 The Sol Survivor Editor uses rather unique terrain sculpting system. The Terrain is random, but you still have some controls to get it to behave how you want. 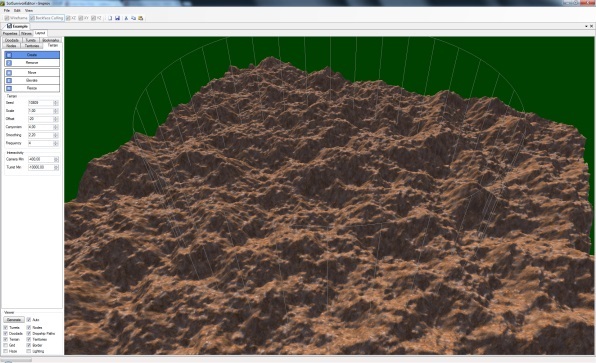 We are going to start with Terrain Generation. Terrain Node – Create: Clicking creates a new terrain node under the mouse. Terrain Node – Elevate: Click and drag up and down to change the altitude of the terrain node. This will push and pull the terrain at this spot. 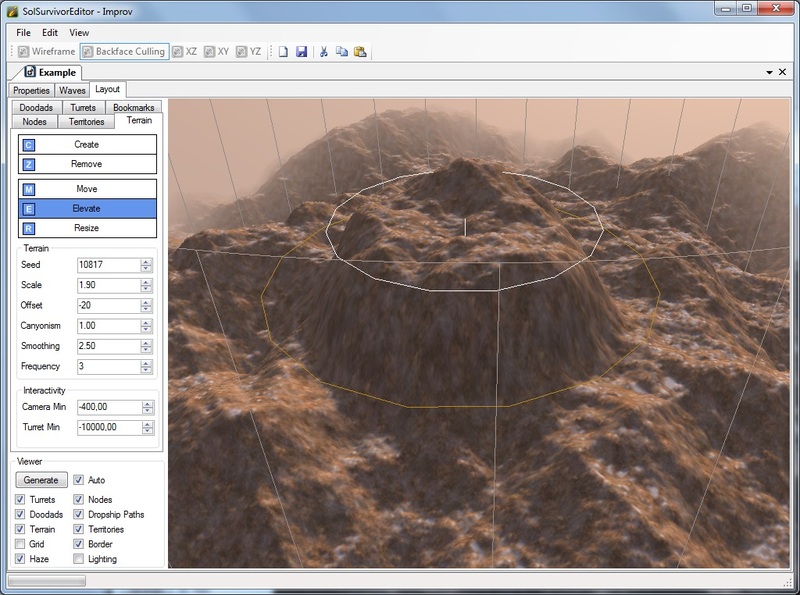 Terrain Node – Resize: Click and drag up and down to change the radius of the terrain node. This will cause the node to influence more or less area. Seed: Changes the starting point of the random generation. Change this until you find a starting point you like. A given seed will always produce the same result. Scale: How high the mountains go. Offset: Where the water line is – you probably will not need to change this unless your level drops deep into the ground. Canyonism: Tweaks the slope of the hills and mountains. Ranges between 0 and 1. Frequency: This changes the size of the features in the terrain. Use 2 or 3 for rolling hills and 4 or 5 for rocky mountains. Interactivity: these affect how low the camera can go and the minimum altitude for turrets. You probably don't need to change these. Now, lets look at how to create the path that the Creeps will run down. The path or roads carve themselves into the terrain, so you don't have to worry about getting the terrain perfect. Path Node – Select: Clicking selects a path node so you can change it's properties. Path Node – Create: Clicking creates a new path node under the mouse. Path Node – Extend: Click to add a new path node from the last selected one. Path Node – Link: Click on one and then a second node to link them together. Use this to join paths. PathNode – Unlink: Click one node and then a second node to unlink them. use this to un-join paths. Path Node – Elevate: Click and drag up and down to change the altitude of the path node. Path Node – Resize: Click and drag up and down to change the radius of the path node. The path turns red when it is too small for the creeps to fit down it. Type: One of: [None, Spawn, Colony]. Enemies will spawn from the Spawn Nodes and will move downstream of the path toward Colony Nodes. You will see the Node change when you change this property. Code: This is used if want to have creeps from different spawn points use the same path and then turn at different links. Block Building: Turrets cannot be placed on this path if true. Dropship Angles: make sure the dropships don't go through a mountain. The Sol Survivor Editor FAQ is a work in progress. I am posting this Getting Started guide to help people dive in. If you have questions, please post them in the Steam Forums and I will reply there and update this post. Change the Environment type to one of the four possible choices. 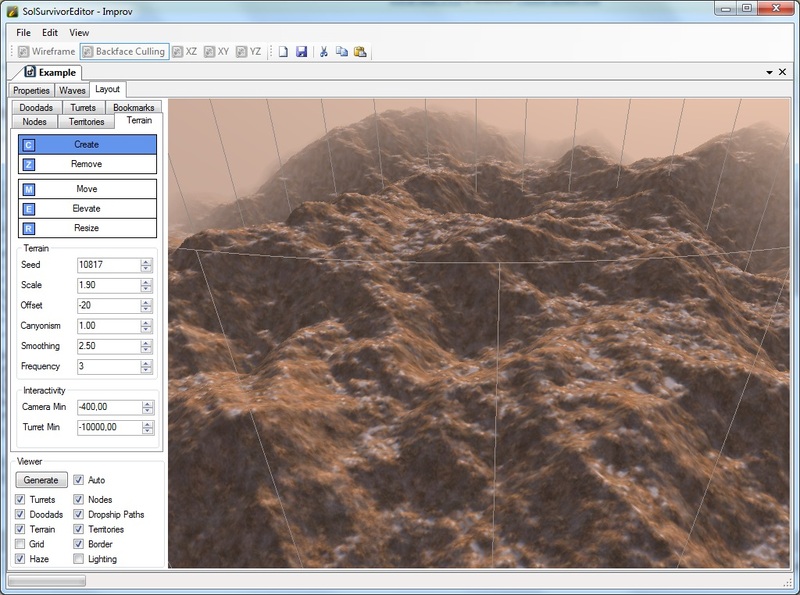 The Terrain will not generate under the Layout Tab until an Environment is selected. Don't forget to give yourself Starting Mass. I suggest 100 as a starting point. Change the Name and Description fields to make your level recognizable. Once you have layed out a level, you can play it by Exporting it. Press the Export button on the Properties Tab. 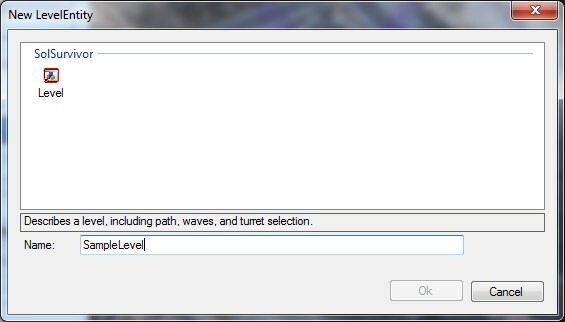 The level will be copied to your Custom Maps directory (located in %APPDATA%\SolSurvivor\Maps\). Now start up Sol Survivor, create a Multiplayer game of the GameMode that you setup in the Properites Tab and your level will appear on the Dropdown. 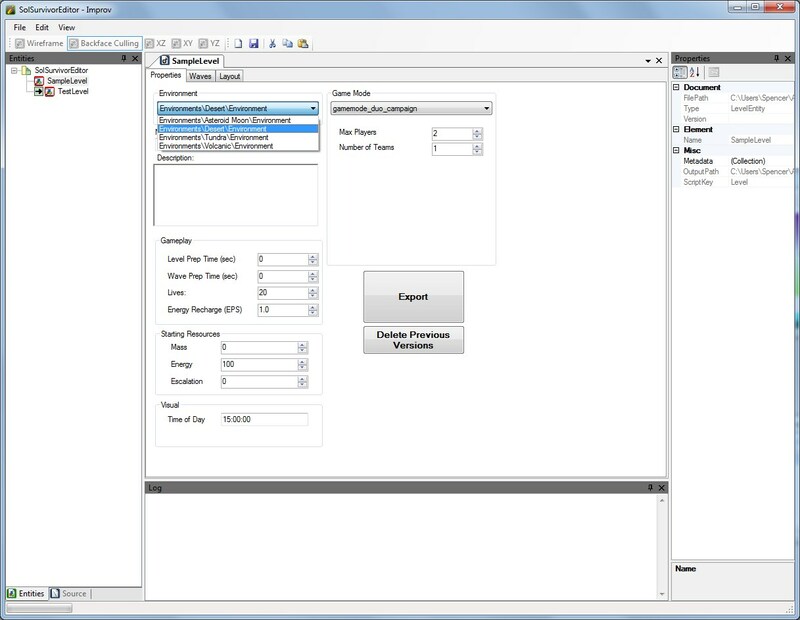 Each time you press Export, it will create a unique Versioned level file. I suggest changing the name and description each time you export so you don't get them confused. 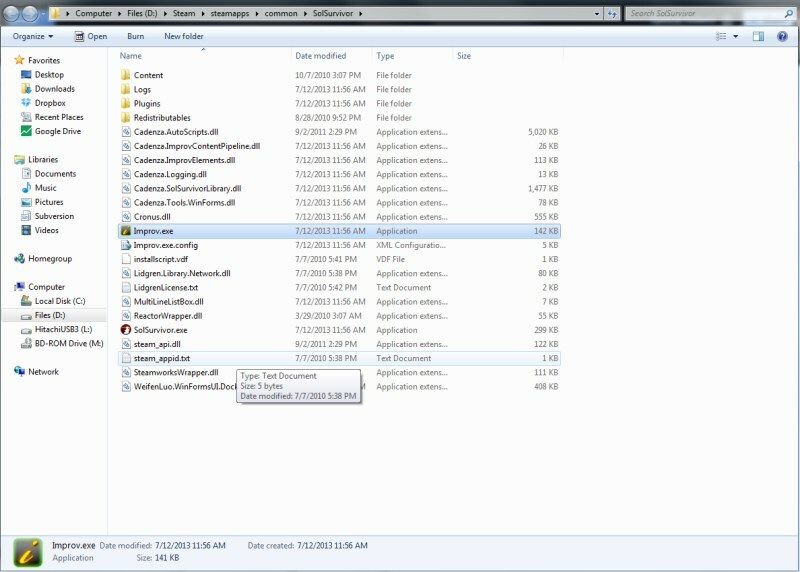 You can press the Delete Previous Versions button to delete all previous versions. This does not delete your level, only the Exported copies. Check out the next step: Layout on the next blog. 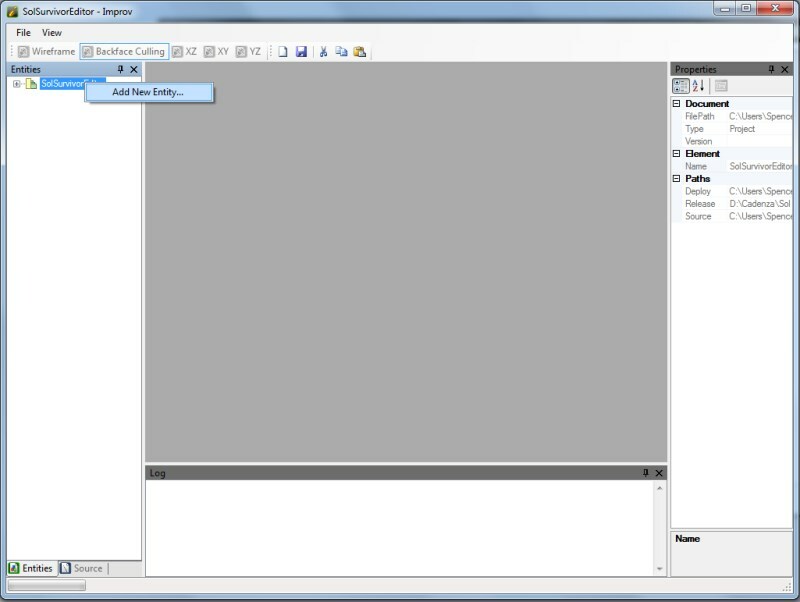 - Added level editor Improv.exe to the game folder. - Added auto-downloading of maps in multiplayer. - Added launcher with recent news.